Songdo in South Korea, is – for many – the poster boy of the smart city. The $35bn (£23bn) project, located on reclaimed land near the Yellow Sea, was widely considered to be a model for smart cities around the globe when it was started in 2005. Also known as a ubiquitous city or U-city, Songdo’s information systems are all linked to each other. It has led critics to dub it a “city in a box” – a showcase for technology but not necessarily the ideal city for people. Sensors are on everything in Songdo – for example, escalators only move when someone is on them. Every home has a telepresence system built in like a dishwasher. As well as allowing users to control the heating systems and locks, it offers video conferencing and is intended as a way to deliver education, health care and government services. Offices and schools are also connected to the network. The digital mastermind behind Songdo is Cisco, which supplies all the network-based technologies. The city is due for completion in 2015, by which time it will be home to 65,000 people and 300,000 workers. 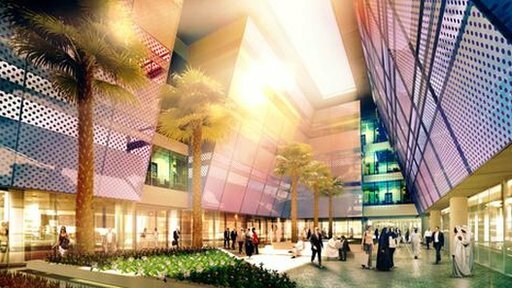 Masdar, which means “source” in Arabic, is a city that stands in the middle of the desert of Abu Dhabi in the United Arab Emirates. It is designed to be one of the most sustainable on the planet. With a solar power station at its heart and wind farms providing energy for it, it aims to be carbon free. Unsurprisingly, it is also a hub for clean-tech companies. Everything in the city, from water to rubbish, is measured and monitored, becoming a source of information. 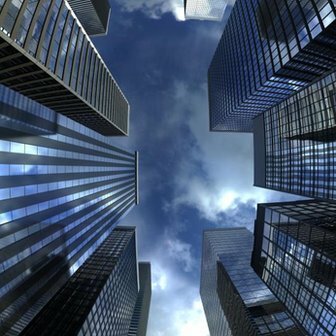 The city is built on a raised platform to allow its “digital plumbers” easy access to the system of advanced technologies that run it. It is pedestrian-friendly and entirely car free. The city is experimenting with a network of electric driverless podcars. The PRT – personal rapid transit – will run 6m under street level across the city. The buildings in the city have been designed by Norman Foster’s firm of architects, which designed a number of eye-catching buildings including The City Hall in London. It is hoped that 40,000 people will eventually live in the city, with up to 50,000 commuting there each day. Critics have described it as merely another Middle Eastern enclave for the wealthy and questioned how it can be replicated in other countries, given its multi-billion pound price-tag. Rio is set to have to experience the full glare of the worldwide media in the next few years as it plays host to both the Football World Cup in 2014, followed by the Olympic Games two years later. No surprise then that it wants to get smart. 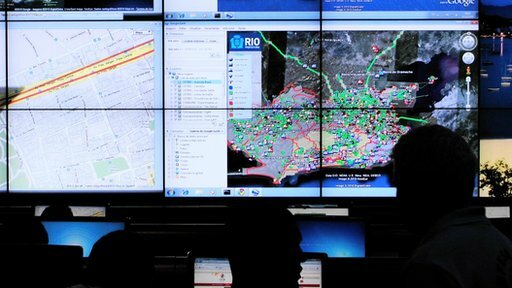 In 2010, city mayor Eduardo Paes tasked IBM with creating a city-wide operation centre which connects all the city’s 30 agencies, from transport to the emergency services. It means that officials from across the city can now collaborate to manage the movement of traffic and public transportation systems, while also ensuring that power and water supplies work more efficiently. A coordinated response can be rolled out in the event of a crisis, such as collapsing building. Transport systems can be shut down, emergency services mobilised and gas supplies can be cut off, while citizens can be informed of alternative routes via Twitter. IBM research scientists have also created a sophisticated weather forecasting system. It pulls data from the river basin, land surveys, the municipality’s historical rainfall logs, and radar feeds to predict rain and possible flash floods. And it has begun to evaluate the effects of weather incidents on other city situations, such as city traffic or power outages. The centre has also spawned a number of citizen-centric apps with updates on weather and traffic. The fact that the system relies on IBM hardware and software means the city now comes with its own manual. It classifies problems into four categories – events, incidents, emergencies and crises. So, for example, a large party would be classified as an event but if trouble breaks out that would be upgraded to an incident. Not everything smart in Rio is corporate-led. There are plenty of citizen-led projects such as a project led by architects Design group 00:/ which is working with residents in Rio’s slums to design their own houses. The designs and assembly instructions for the “wiki-houses” are posted online and people are encouraged to upload their own ideas. Talking about the inspiration for the project designer Alastair Parvin said: “For too long cities have been made by the 1% and consumed by the 99%. Barcelona city council’s chief information officer, Manel Sanroma, made the bold statement last year that the cities of the future may become more powerful than nation states. At smart city conferences around the world he has emphasised the need to have a strong mayor who is willing to take charge and draw up a blueprint for such a city. 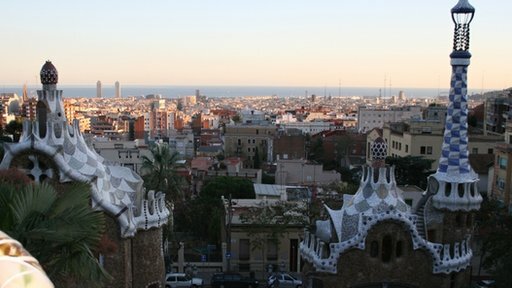 Barcelona is determined to be one of the leaders and has some interesting projects that are currently being rolled out. It has created more efficient bus routes, streamlined rubbish collections using sensors and introduced smart street lights. A city operating system which will bring all systems together in one place is also being developed. But, unlike Rio, there will be no central control room, Mr Sanroma told the BBC. “We don’t want a showroom, we want something practical for decision-makers,” he said. One of the biggest projects currently under development is one to introduce contactless payments across the city’s transportation services. Mr Sanroma is also keen to collaborate with other cities. To this end has set up the City Protocol Society, which aims to join up cities around the world with businesses, universities and other organisations to develop standards for a technology platform that would work in any city. Lisbon, Amsterdam, San Francisco, Chicago and Buenos Aires are among cities signed up. Parts of London date back to Roman times, so it may not seem to be an obvious choice as a city of the future, but there several projects are currently being developed. It recently lost out to Glasgow on a £24m prize awarded by the Technology Strategy Board to create a future city, but it remains a testing ground for smart technologies. Intel has chosen London as a incubator to test the algorithms that could power the cities of the future. It is partnering with Imperial College and University College London on a series of projects, including a network of sensors to monitor air quality, traffic flow and water supply. Computer scientists will also work to find the best way of extracting meaning from the huge amounts of data created by the project. 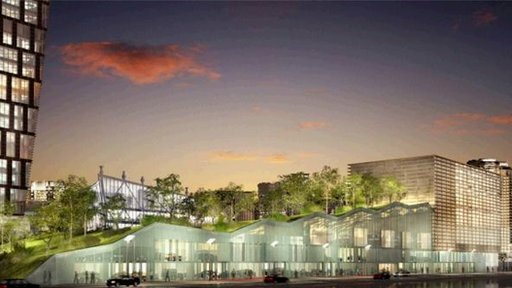 Smaller community-based projects are also shaping the London of the future. 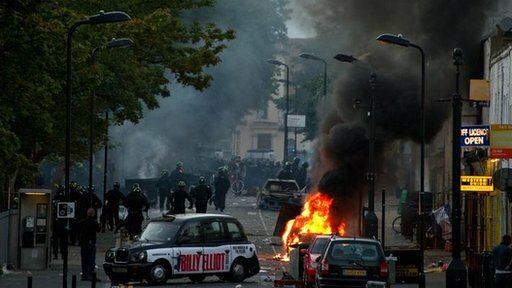 Engineering consultant Arup is involved in a scheme to regenerate Tottenham, in the wake of the 2011 riots. As part of that, it has been in talks with local residents, including gang members who took part in the unrest. Malcolm Smith, head of urban design at Arup thinks such informal projects are as important as the more formal plans of the large corporations. “We started to understand the frustrations and listened to the way people see Tottenham and their personal observations about the city,” he said. It means that the regeneration plans now include a community hub – a flexible multi-purpose space with library, childcare and adult learning facilities.